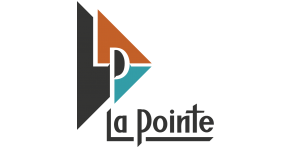 Located near Boise State University, La Pointe Apartments is the newest and most student minded designed off campus student housing available. La Pointe offers two, three and four bedroom apartments on individual leases featuring private bathrooms connected to each bedroom. Every apartment has an attached patio or deck and is attractively furnished creating a casual comfortable living environment that allows you to forget about the hassles of moving. You only need to bring your personal belongings and accessories to make your apartment a home. Our apartments come with all major appliances including a washer/dryer; four bedroom apartments even have two refrigerators. A wide range of state of the art amenities are available to help you stay in shape or unwind. Secure building access gives you added peace of mind for you, your vehicle and belongings. Our professional management staff is always available to assist you and eager to make your housing experience with us the best possible. We have it all: customer service, location, design, amenities, convenience and value. Live La Pointe.